The MBMN-M-SD-10 DSLR & Compact Camera Manhattan Messenger Bag has been designed to make travelling with your kit stress-free whether you walk, cycle or get the train. The flexy camera shell enables you to easily switch up your bag's interior to suit the type of camera you want to take with you. The dividers can be shaped and moulded to fit snugly around each piece of your kit so you can be sure it's well protected. 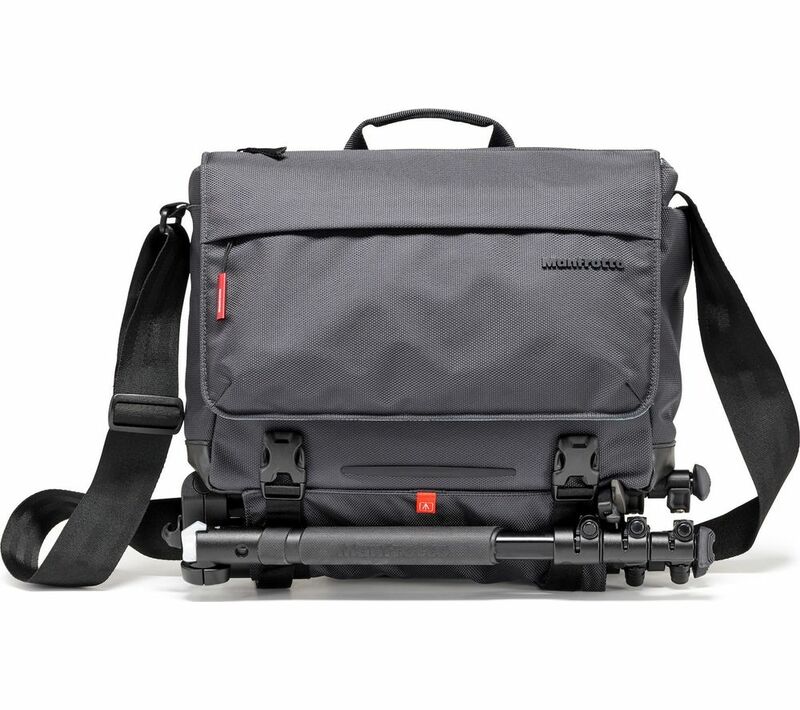 With a dedicated pocket for a laptop or tablet up to 12”, this bag makes taking your photography kit to work or school before a shoot convenient and easy, so you'll never have to rush home in between to grab your gear. The nifty stabilization strap makes it easy to attach the MBMN-M-SD-10 DSLR & Compact Camera Manhattan Messenger Bag to the back of a bicycle so you can travel without having to worry about your camera. 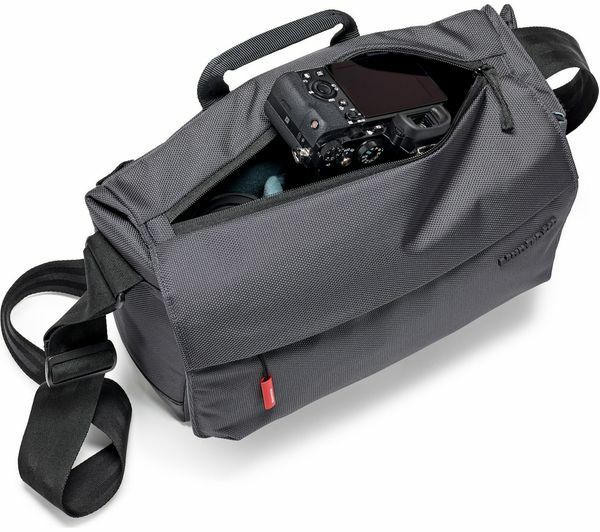 With a rain cover included, this camera bag is a great choice for outdoors shooting and location photography. Whether your passion is scenery or you're chasing that perfect wildlife shot, you can be confident that your lenses and other bits of kit will stay safe and dry no matter what the weather throws at you. If you want to take a tripod with you it can be quickly and easily inserted with the NeverLose tripod flap. Simply clip it in to the bag buckles and you're ready to go with no fuss or time wasted. Laptop / tablet: up to 12"
If you wish to return this item, please call us on 0344 561 1234 or email customer.services@pcworld.co.uk, remembering to quote your order number.